Distributed workforces have become a standard protocol for competing in today’s economic environment. Business happens beyond the walls of your organisation. You interact regularly with customers, suppliers and partners. Workers are increasingly on the go and embracing the flexibility of mobile communications to balance the demands of the office in the most efficient and productive way possible, making video collaboration is as critical to business as it has ever been. Companies that provide the best collaboration capabilities, suitable for conducting business with anyone, anywhere, will stand out among the others and gain a competitive advantage. The ubiquity and popularity of video, combined with the undeniable benefits of face-to-face collaboration, make video collaboration a natural investment for your communications strategy. 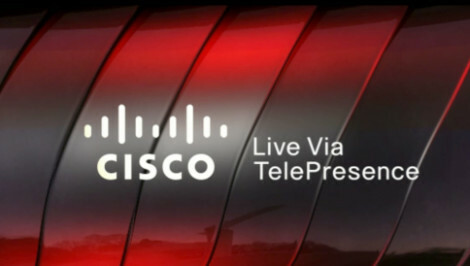 Cisco supports video to and from the desktop, mobile devices and the boardroom with easier, more transparent interactions and consistent experiences. Affordable solutions provide superior scale through hardware, software, and cloud architecture strategies, and help enable any-to-any video through standards-based technology. Deploy video that is easy to use, deploy, maintain and integrate. Users get intuitive interactions, less dependence on IT and a single identity across all devices. IT gets unified call-control and management platforms to ease administration, speed deployment and simplify troubleshooting. It’s all based on an integrated end-to-end architecture that uses the intelligent network for highly secure, reliable, more comprehensive and overall better user experiences. Use video to accomplish what you cannot in person. Improve productivity by meeting with people in multiple countries in one day, or with hundreds of people at once-wherever you are. Attend meetings on your own time, replay important material and easily navigate on keywords and speakers. Experience simple, affordable, multiparty video-enabled collaboration for any user on any device. Offer a consistent business-class user experience and high-quality, multimedia collaboration environment. Power a new way of working where everyone, everywhere can be more productive. People can collaborate face-to-face using high-quality, lifelike video from the desktop to the boardroom. Easily access voice, video, presence, messaging, desktop sharing and conferencing, anywhere across any device including Android, Windows, MacOS or iOS. Industry-leading web conferencing capabilities incorporate audio, high-definition video and real-time content sharing to facilitate compelling, productive team meeting experiences. This solution offers flexible workflows, support for a wide variety of file types and collaboration tools. It provides private and highly secure video sharing within an organisation. Smart Video, a term coined by LifeSize, describes an intuitive user experience coupled with feature-rich video applications, powered by an integrated, connected infrastructure and endpoint relationship. Just in the way that smartphones revolutionized the way that people experienced telephony, LifeSize Smart Video provides the same transformation for the video conferencing industry, bringing unmatched simplicity to the user experience, without sacrificing features, functionality or quality. Choose your video system based on the features you want while benefiting from the HD quality experience. LifeSize offers a complete range of high definition solutions for any environment. Communicate anytime, anywhere with LifeSize Video Solutions. An authentic communications experience requires high definition audio. LifeSize Phone is the high definition audio conference phone that delivers revolutionary audio conferencing sound quality and room coverage. LifeSize offers a variety of hardware infrastructure solutions for high definition video and audio deployments. Products include secure firewall/NAT traversal, ISDN to IP Gateway, and 12 and 24-port high definition Multipoint Control Units. LifeSize systems are designed to be IT friendly with plug-and-play installation and simple, intuitive operation. 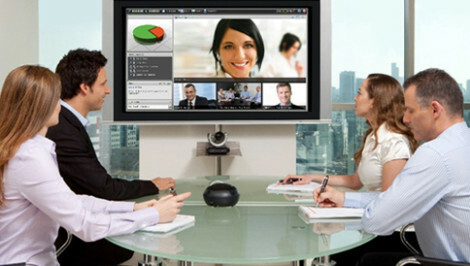 Lifesize products offer intelligent management solutions for your video communications systems.